Thank you, Catalan culture for my favorite holiday: el dia de Sant Jordi. On this day all over Cataluña, there is an exchange: men give women a rose, and women give men a book. It’s like Valentine’s day, without the chalky candy and cupids. 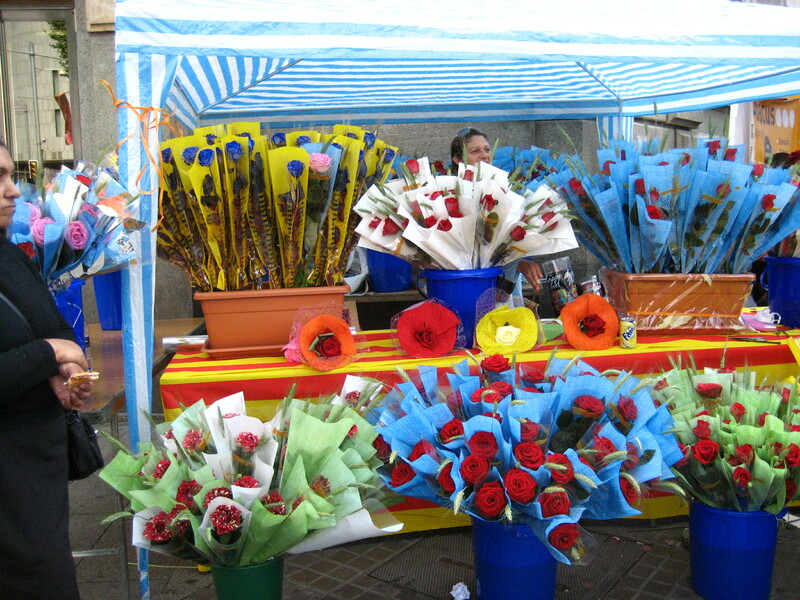 On this day in Barcelona, on there are stands upon stands filling the streets, selling books and roses. I was introduced to this holiday four years ago in an Introduction to Catalan class and have been celebrating it ever since, twice in Barcelona where the joy of so many BOOKS and the beauty of so many ROSES is miraculous, despite my awareness that all the books are in a language I could only decipher with a dictionary. Previous Good Poem (not mine).